Leider können von Verlagsseite aus keine einwandfreien Exemplare dieses nicht eingeschweissten Buches geliefert werden. The creator of the greatest comic strip in history finally gets his due-in an eye-opening new life revealing the truth about his heritage and fascinating double life. 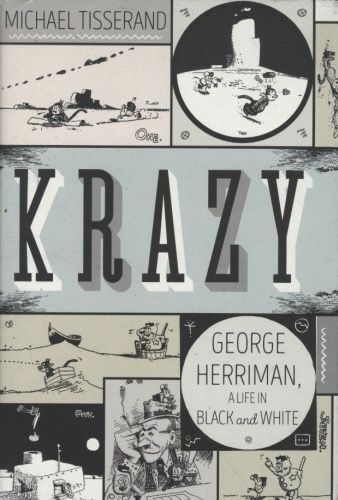 Born and raised in the ethnic maelstrom of 19th-century New Orleans, George Herriman, the creator of the seminal comic strip Krazy Kat came of age as an illustrator, journalist, and cartoon artist in the boom town of Los Angeles and the wild metropolis of New York. Rocketing to early fame in the newspapers of the early 20th century, Herriman's work was both hugely popular and widely acknowledged as the cartoon that elevated cartoons from daily diversions to an anarchic art form. Yet underlying his whole life - and often sneaking into the contours of his very public art - was a very private fact: known as "the Greek" for his swarthy complexion and curly hair, Herriman was in fact an African-American. Drawing on deep original research into Herriman's family historY and on a deep reading of the artist's work and surviving written records, Michael Tisserand restores this little-understood figure to vivid life. Diesen Artikel haben wir am 22.12.2016 in unseren Katalog aufgenommen.